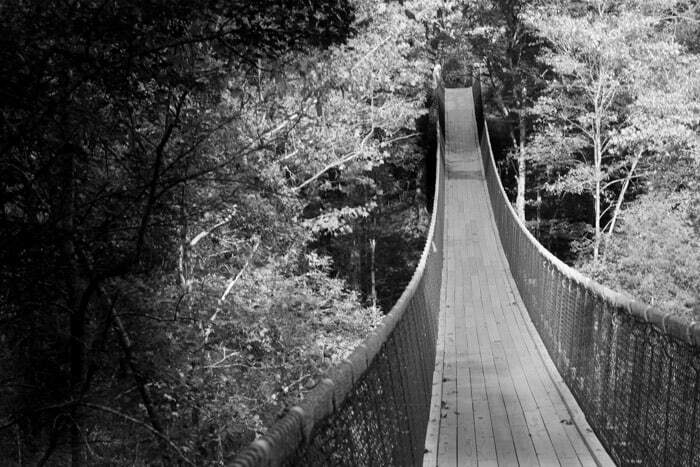 The forest was quiet as I walked across the long swinging bridge. It was nice to slow down and soak in our surroundings, after zip-lining through the area. 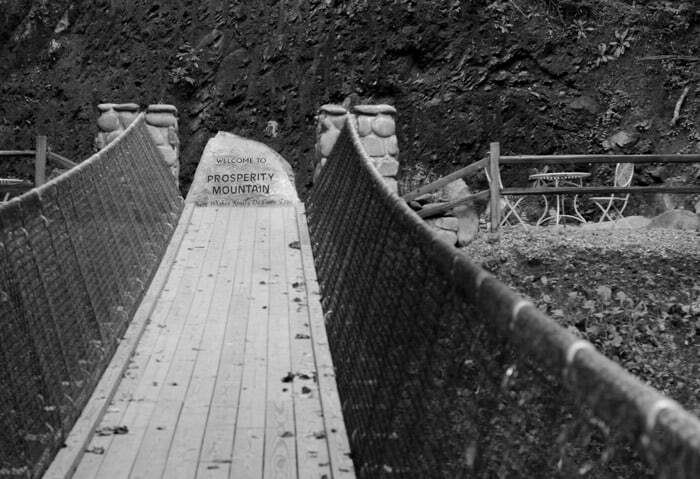 As the bridge ended, I saw a marker welcoming us to Prosperity Mountain. Cairns, or artistically stacked stone sculptures, date back to the Scots-Irish who settled East Tennessee and Firefox Mountain in the early 1700’s. 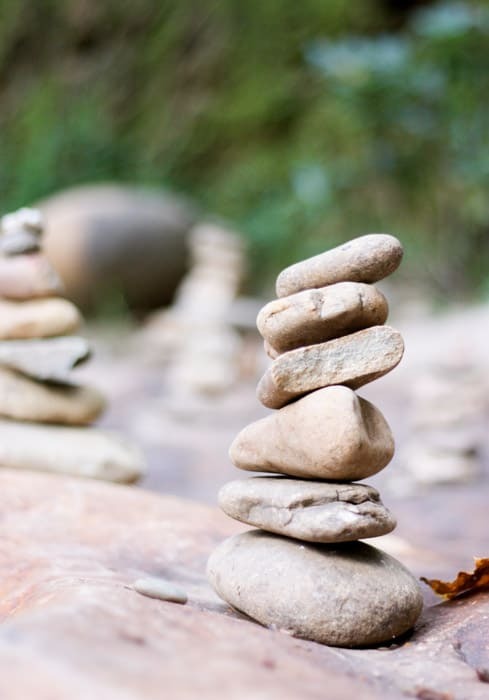 Cairns were built to mark trails, religious sites, monuments to important people or places, to bestow good luck on the builder, or just as an artistic expression. Have you ever walked through an old house? You can almost feel the stories they holds. Cairns radiate that same sense of untold history. They seem to hold the hopes, dreams and sorrows of people who have passed before you. 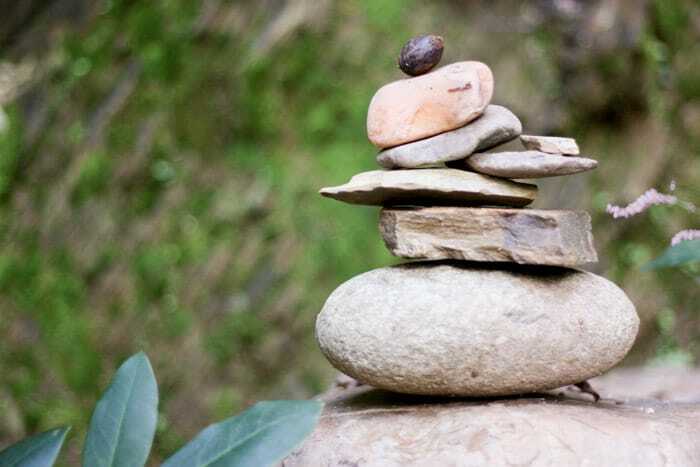 So I sat for quite some time surrounded by cairns in Sevierville, Tennessee thinking… feeling a little bit more connected with the world. *This post is dedicated to my good friend Sally. The good folk of Sevierville, Tennessee invite me and a few other bloggers down to check out their city. They were gracious host, all travel and activities expenses were covered by the Chamber of Commerce. As always, I am honored to share my adventures with you. Stay tuned for more updates! We just came back from family vacation. We drove from Southern Ontario up to Nothern Ontario. All along Hwy 11 and back down Hwy 17 we saw so many of these. I even made one. I appreciate knowing it does not have to be an “manlike” build. I built mine with random rocks that looked rather zen than a person. It was beautiful.